The JHMC spearheaded a successful celebration of Women’s Month through a forum at the historic Bell Amphitheater last morning of March 23, 2018. The event was also in observance of the worldwide International Women’s Day. The JHMC harmonizing with the Philippine Commission on Women (PCW) theme, “We Make Change Work for Women” invited speakers who were active contributors of development. Dr. Mary Grace Carrido-Baywong for the role of the academe, Atty. Pinky Chan-Rondez for the ability to succeed, Atty. Betty Lourdes F. Tabanda for women empowerment and good governance, Atty. Mary Ellen S. Cabuhat for women’s rights. For women empowerment in the eyes of men, Mr. Michael del Rosario – a prominent businessman and an author and Dr. Felipe S. Comila – Director of the Institute of Public Administration at the Benguet State University, balanced the forum with an impartial discussion about women as their counterparts in development. The forum began with welcome remarks from the JHMC President and CEO, Mr. Allan R. Garcia, who acknowledges the contributions of women in our society. JHMC Vice-President and COO, Jane Theresa G. Tabalingcos, gave an overview of the topics which focused on women empowerment and gender equality – that men and women as counterparts in various fields of development are coping up with change. Dr. Mary Grace Carrido-Baywong of St. Louis University, stressed the importance of gender mainstreaming in the academe as a strategy in promoting gender equality. Various efforts have been made to align the institution’s policies to the Gender and Development (GAD) mandate of the government. Thus, gender-responsive curricular programs are being integrated and gender-neutral facilities like restrooms are being fabricated to prevent gender-based discriminations. Atty. Pinky Chan-Rondez, former Baguio City Councilor, lawyer, and entrepreneur, called out to every woman to be the best that they can be in everything they do. Having been in public service for years and now as budding successful entrepreneur, Atty. Rondez advised the participants to follow their passion and be motivated by the things that energizes them. Atty. Betty Lourdes F. Tabanda comprehensively discussed a gender responsive governance. That, women’s participation in the formulation, implementation and evaluation of policies and other legislative enactments should be ensured through GAD mainstreaming in the bureaucracy. Equal rights, equal opportunities, and equal representation in decision making for both men and women should likewise be guaranteed, hence, she encourages women to occupy more seats in the government. Atty. Mary Ellen S. Cabuhat talked about women’s rights by citing various laws recognizing, protecting and promoting the rights of Filipino women. Mr. Michael del Rosario, in his speech, believes that women are already empowered. He claims that in his business establishments, women are given equal if not greater opportunities than men as shown in their statistical data. He claims further that more women are employed in his establishments than their male counterparts. Dr. Felipe Comila shared his thinking piece in terms of women empowerment vis –a-vis public administration. That, public administration should be guided by equality and non-discrimination by promoting gender equality in the workforce eliminating a patriarchal institution and gender-biased traditions. The forum was entertained by poets, Marie Ramos and Dumay Soliggay who delivered their pieces of advice through spoken word poetry depicting the different facets of women growing strong from discomforts and trials. Overall, the forum was participated in by 223 partakers from the Academe, some barangay officials and constituents, business establishments inside the John Hay Special Economic Zone, the Office of the Civil Defense- Cordillera, and employees of JHMC, of which 160 were females and 63 were males. JHMC continues to recognize the role of women as an essential counterpart in development and active contributors for change. Equity reasons dictate that women’s perspective should be given a chance in policy development and public administration. 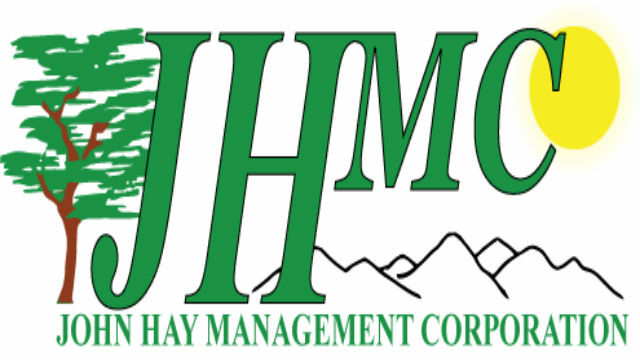 John Hay Management Corporation is a subsidiary of the Bases Conversion Development Authority (BCDA).